Fans of dark and dramatic ballet won't want to miss our livestream of Viviana Durante Company's Kenneth MacMillan: Steps Back in Time from 7.45pm BST on 19 April 2018, and it's now available to watch on demand. The event, which was broadcast live to the Royal Opera House YouTube channel and this page from the Barbican, starred a number of Royal Ballet dancers – including Lauren Cuthbertson, Yasmine Naghdi, Thiago Soares and Akane Takada – as well as performers from Ballet Black and Scottish Ballet. 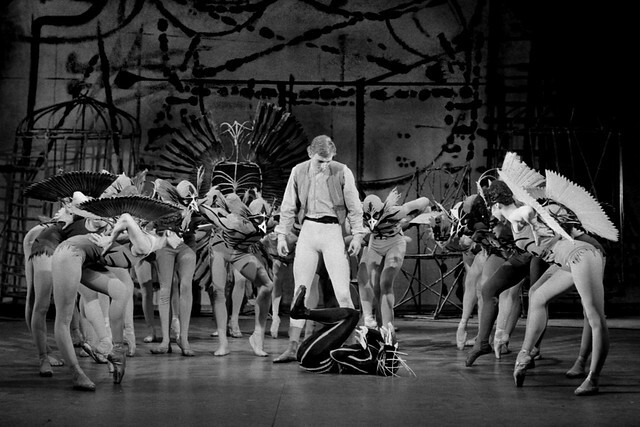 It featured three of the choreographer's lesser-known early works – House of Birds, Laiderette and a pas de deux from Danses Concertantes – celebrating MacMillan's considerable legacy and marking 25 years since his death. House of Birds is based on a macabre fairytale by the Brothers Grimm in which a witch ensnares young children and transforms them into birds; Laiderette explores themes of rejection and exclusion, which recurred in the choreographer's later works, and tells the story of a young member of a clown troupe who is abandoned by her admirer; and Danses Concertantes is a plotless work which blends jazz and carnival influences, set to a Stravinsky score. A former Artistic Director of The Royal Ballet, Kenneth MacMillan's works are distinguished by their penetrating psychological insight and expressive use of classical language. He choreographed extensively for the Covent Garden-based Company, creating much-loved works including Romeo and Juliet, Gloria, Manon, Mayerling and Requiem. Given that Francesca Hayward is replacing Laura Morera in Manon on the ROH's main stage that night, how is it possible that she will also be appearing in a live feed of something else from the Barbican? This casting has now been updated. The Viviana Durante Company is also listing Principal ballerina Yasmine Naghdi whom you omit crediting here above. Many are wondering WHO will dance "Laiderette" instead of Miss Hayward who will be taking over Manon from Laura Morera? Excited about this, but unfortunately unable to watch it live. Will it be available to stream afterwards? I was going to ask the same thing! I assume it will be available to watch afterwards - the ROH live-streamed Turandot via YouTube last summer and it was available for a month or so after. However, I'd like to be 100% sure! I understand it will available via the Royal Opera House streaming for next 30 days. That’s correct, yes - enjoy!